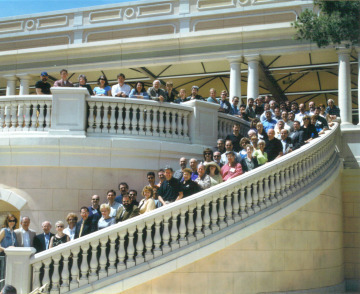 A second formative conference was held in New York in September 1985, where the organization was incorporated as a nonprofit trade association, with TUTS serving as an umbrella organization, and a board of directors was elected. Seminars were held on such topics as rights and royalties, audience development, and “Actors’ Equity – Future Directions and Growth,” and George Abbott was presented with a lifetime achievement award. Gwen Verdon hosted abridged readings of four new musicals – Legs Diamond, Rags, Grovers Corners and You Can’t Take It With You. The new board met again in New York in January 1986, followed by a full membership meeting in Los Angeles in April 1986. Four more readings of new musicals – The Anastasia Game, Golden Boy, King of Country and Back in Town – were presented. NAMTP’s by-laws were adopted, a dues structure accepted and directives given to hire staff and open an office in New York City. NAMTP’s first Executive Director was hired in February 1987 to coordinate the activities of the Alliance and to develop and implement programs and services for the membership. The two original concerns of its founders remain uppermost on the Alliance’s agenda: the need for more new works and finding a way to produce musical theatre more affordably. In 1987, the National Alliance of Musical Theater Producers embarked on a cooperative production of Drood to play a 20-week tour in spring/summer 1988 with joint financing from the group. The show played engagements of 1-3 weeks at Theater of the Stars (Atlanta), Theatre Under The Stars (Houston), Dallas Summer Musicals (Dallas), The Muny (St. Louis), Starlight Theater (Indianapolis), Pittsburgh Civic Light Opera (Pittsburgh), Denver Performing Arts Center (Denver), Colonial Theatre (Boston), Bushnell Theatre (Hartford), Shubert Performing Arts Center (New Haven) and the Morris Mechanic Theatre (Baltimore). The seeds planted in these early NAMT events have grown, with the core programs of the Festival and two annual conferences continuing to this day. In 1989, the Alliance changed its name to the National Alliance for Musical Theatre, and the first annual Festival of New Musicals was produced in New York, with the conference taking place as a separate event. The Festival has been presented annually since then. Submissions are now open to any writer and the Festival audience is made up of leading professionals from throughout the theatre world. As of 2017, the Festival has introduced 334 musicals and 543 writers in our Festivals and Songwriters Showcases to the people with the resources and expertise to move these shows forward. More than three-fourths of the Festival selections have gone on to subsequent developmental and full productions, been printed in publishers’ catalogues and recorded on cast albums. NAMT now boasts 160 member organizations and 40 individual members, in 31 U.S. states and abroad, all sharing our mission to advance musical theatre by nurturing the creation, development and production of new musicals. 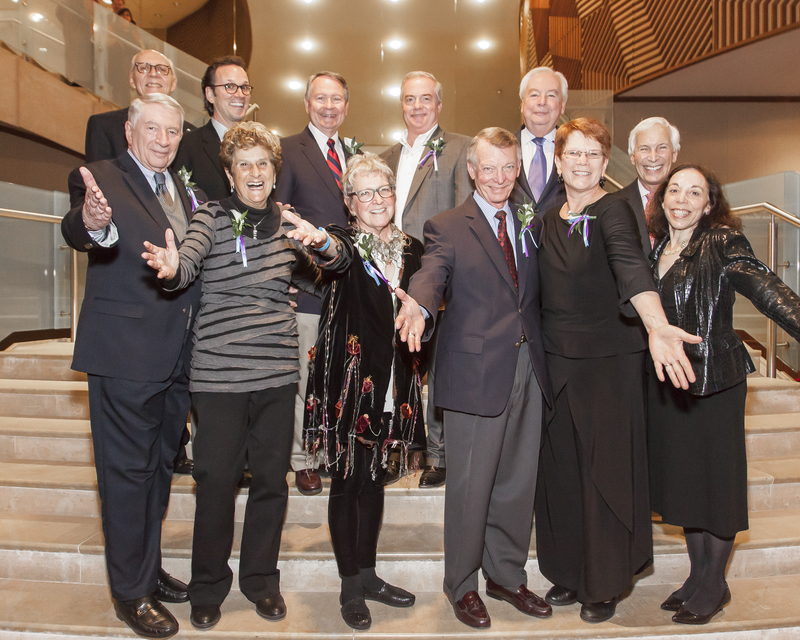 NAMT’s founders and past presidents were honored at Show Off!, a benefit concert celebrating 25 years of the Festival of New Musicals in 2013.